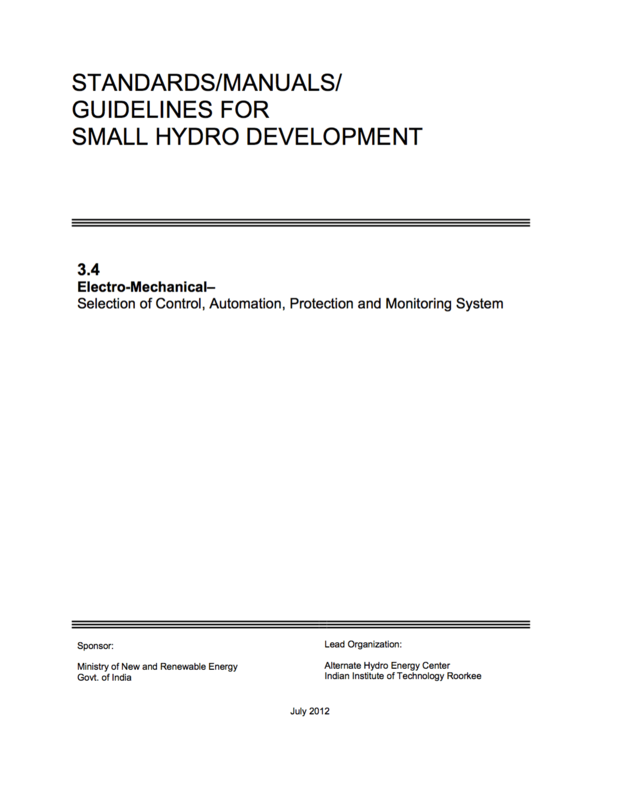 This standard/manual guideline covers selection of systems for control, automation, protection and monitoring for small hydropower plants (SHP) up to 25 MW by developers, manufacturers, consultants, regulators and others. This includes selection of technology, extent of automation and monitoring system for different categories of SHP. Up to 100 kW, up to 5 MW and 5 MW to 25 MW) which are economical, easy to adopt, sustainable, feasible and essential for safe operation. The generating units of a SHP plant may have its shaft vertical, horizontal or inclined with the type of turbine selected to suit the site’s physical conditions. Small hydro turbines may be selected as per site conditions, head and discharge available. 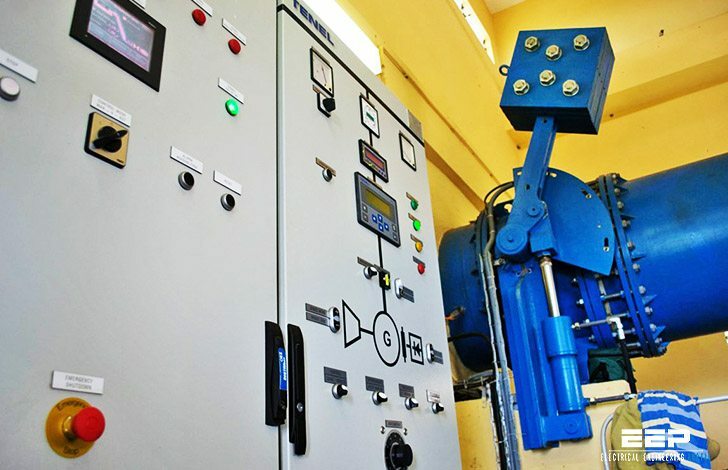 Small hydro-generator are of the alternating current type and may be either synchronous or induction type. 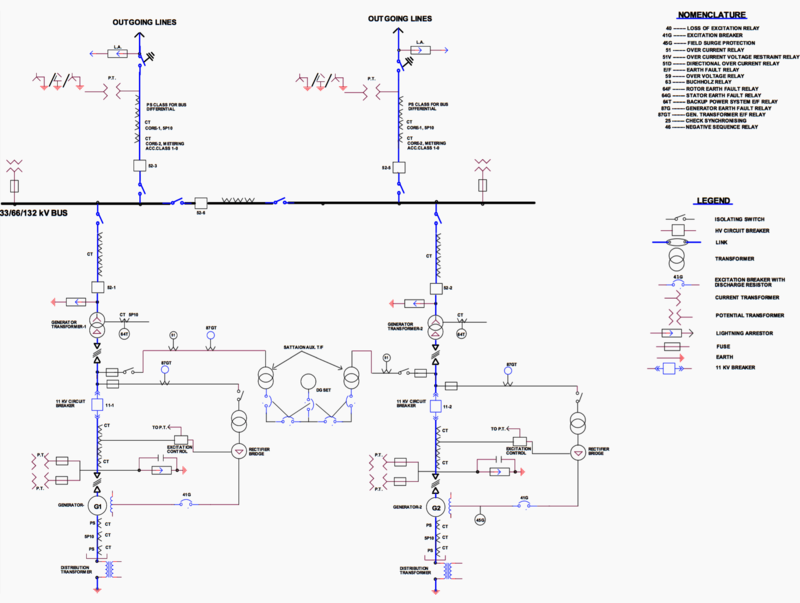 Usually SHP units up to 5 MW are expected to require minimum of field assembly and installation work. While units having capacity from 5 MW to 25 MW may have slow speed, large diameter and with split generator, stator that may require final winding assembly in the field. Mini & micro power stations are generally provided system suiting to these being run unattended or with few attendants while bigger machines up to 25 MW capacity have more elaborate arrangement of control monitoring and protection. Provision of parallel operation with other systems will have more comprehensive control, monitoring & protection system. This guideline will serve as a reference document along with available national and international codes, standards, guide and books.